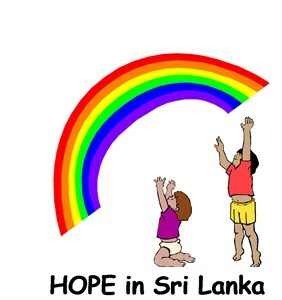 HOPE in Sri Lanka hopes to renovate an old cottage to provide accommodation for boys age 18 and over and to fund vocational courses for them. They have to leave the orphangage when 18 but have no home or family to go to. The cottage is in the orphange grounds and they will remain supported by orphangage directors. Please help to give these boys a future.Welcome to my give.net fundraising page. Donating with give.net is really easy and completely secure. If you are a UK taxpayer, please confirm that you would like to reclaim Gift Aid on your donation. This will add 25p to every £1 you give. Thanks for visiting! The charity began after the Tsunami 2004 when children and berreaved adults were helped through counselling. The charity continues to support some of these families and also offers training in counselling to teachers and carers. 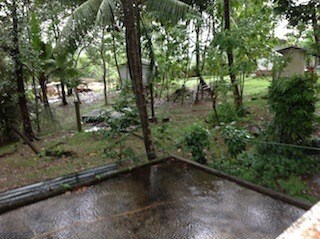 More recently work has developed in orphanages in Sri Lanka. A preschool and other literacy classes for children have been put in place. Buildings used for counselling have been built. Essential water supplies have been installed. Older children have been supported in small business enterprises and vocational training. Each Christmas the charity aims to provide gifts of clothing, toys and toiletries for children in orphanages. throughout the year the trustees hope to provide treats such as special outings and meals and activity days.